Late last night, when the existing contract between the Writers Guild of America and the Alliance of Motion Picture and Television Producers expired without a new contract in place, many people in Hollywood braced for another strike. Luckily, that strike won’t be happening — for now, anyway, as the WGA and AMPTP reached a tentative agreement. It was announced early this morning, and rejoice and be glad. In short: there won’t be another Pushing Daisies cancellation. The long, tense bout of negotiations between the WGA and the major networks, which included a Sunday negotiation and a full final day of negotiations on Monday, concluded in a three-year deal between the two groups. In a memo sent to WGA members, the committee — co-chaired by Chip Johannessen, Chris Keyser, Billy Ray — announced that as part of the new contract, the AMPTP would be increasing its contribution to the WGA health plan, addeding job protection on Parental Leave, and making serious gains in the biggest issue, payment for shortened seasons. The memo stated that the WGA didn’t get everything they wanted or felt members deserved but that they felt that the negotiations were fair enough to hold off on a strike, writing that members would get a total of $130 million more over the course of the contract. 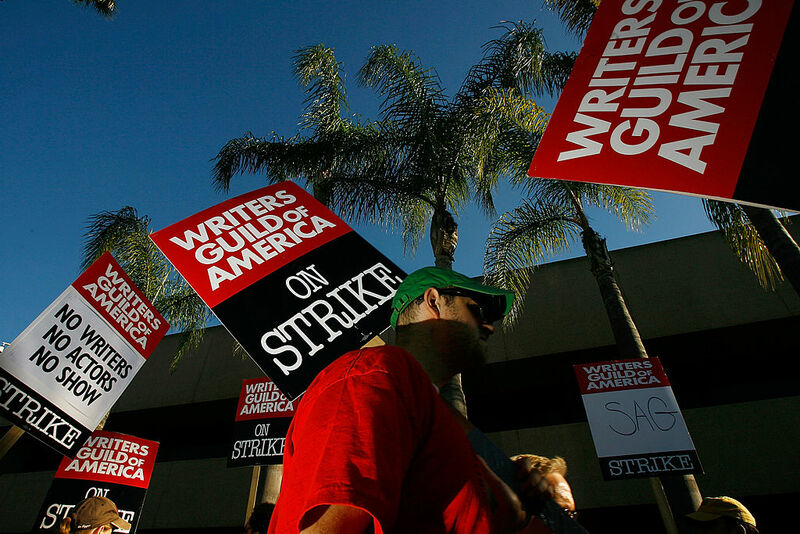 The 2007-2008 writers strike lasted 100 days and was incredibly expensive, costing an estimated $2 billion. The major networks lost a lot of money in ad revenue and many beloved “on-the-bubble” shows (like Pushing Daisies) were cancelled to the horror of fans. With May upfronts coming up right around the corner, this deal is a relative win-win. Next, the AMPTP will begin its negotiations with the Screen Actors Guild to negotiate their new contract. We’re so glad the two groups were able to come to an agreement!